USAopoly product must be sold in your brick & mortar store. USAopoly product cannot be sold on Amazon or any other third party website. A fellow student has seemingly vanished from the famous HOGWART's School Witchcraft and Wizardry. 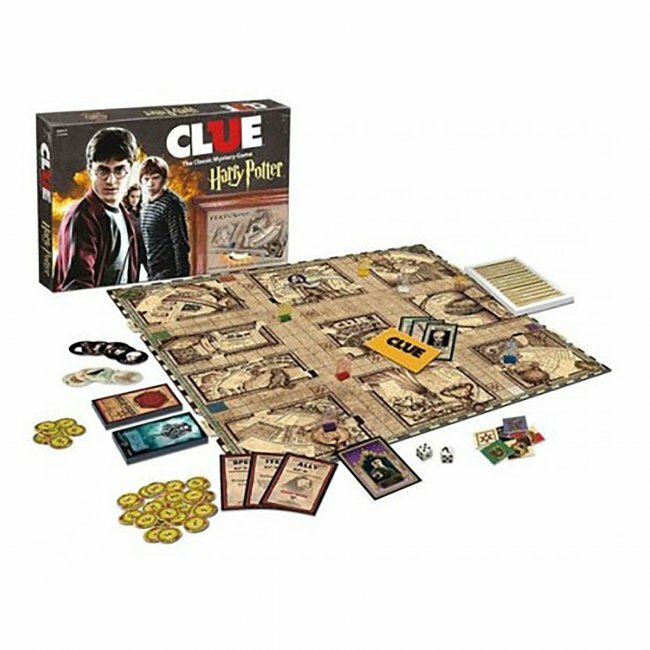 Playing as Harry, Ron, Hermione, Ginny, Luna or Neville, you must discover Who did it, What spell or item they used, and Where the students were attacked. Move around HOGWARTS making suggestions… but watch out! Wheels on the game board keep changing, reveling secret pasages, moving staircases or even the Dark Mark! © 2018 Innex, Inc. All Rights Reserved.